You Built Your Business. We'll Help You Grow It. 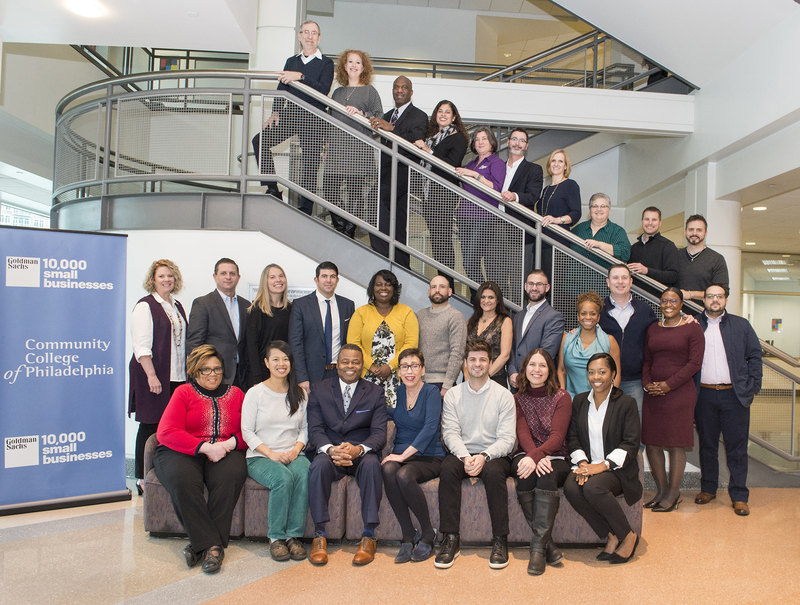 Did you know that “Community College of Philadelphia (CCP)” is one of 14 community colleges within the USA authorized to deliver the Goldman Sachs 10,000 Small Businesses program within the Philadelphia tristate region? Did you know that 459 businesses have graduated within the last five years from CCP? Did you know that 18 of the 100 fastest growing businesses recognized at the Entrepreneur's Forum “Impact 100” event were 10,000 Small Businesses graduates? Goldman Sachs 10,000 Small Businesses is a program for small businesses that links learning to action. Through the program, participants will gain practical skills in topics such as negotiation, marketing and employee management that can immediately be put into action. In addition, they will receive the tools and professional support to develop a strategic and customized growth plan that will take their business to the next level. Across the U.S., 10,000 Small Businesses graduates are increasing their revenues and creating new jobs in their communities: 60.9% reported creating new jobs, 81.9% reported an increase in revenue, 85% are doing business with each other and the program also has a 99% completion rate. Selected applicants will gain access to a world-class business education and connections to a professional support network at no cost. If you're a small business owner interested in taking your business to the next level, apply now. 10,000 Small Businesses‒Greater Philadelphia Executive Director Joins WWDB's "The Boardroom" for a discussion on the value of small businesses. The application deadline for Cohort 20 is June 4, 2019. Classes start September 12, 2019. March 28, 2019 9 a.m to 4 p.m.
For general information, please call 267-299-5900.